Mondiale Development / Pinnacle International is proceeding with a phased residential development consisting of 4 to 14 storey buildings located at Capstan Way and Sexsmith Road in Richmond BC. The existing soil profile generally consists of 2 to 3m of clayey silt over loose to compact interbedded sandy silt to silty fine sand to clean sand extending to a depth of 21 to 23m. The static groundwater level was observed at 1m below grades during the investigation. The silty sand to sand soil profile required densification in order to mitigate liquefaction and subsequent lateral and vertical movement during the design earthquake. Additionally, the upper clayey silt was not considered suitable for support of the proposed towers without improvement. 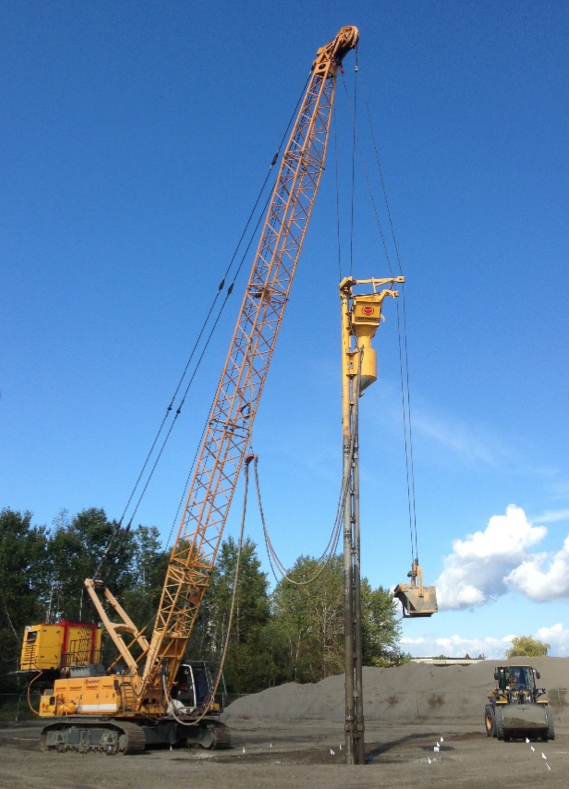 Menard Canada installed stone columns utilizing dry bottom-feed Vibro equipment to a maximum depth of 13m for densification of the loose to compact silty sand to sand soil profile. 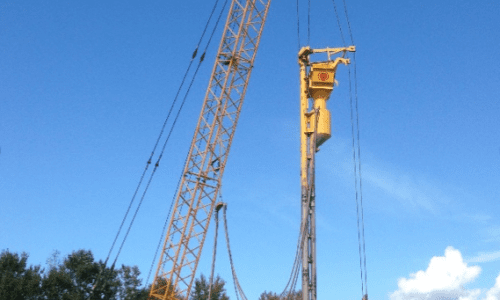 Beneath the tower foundations, additional stone columns were installed to 4.5m depth at centroid locations of the primary equilateral stone column grid to strengthen the upper clayey silt layer. Quality assurance CPT testing showed that the ground improvement methods satisfied the design performance requirements.